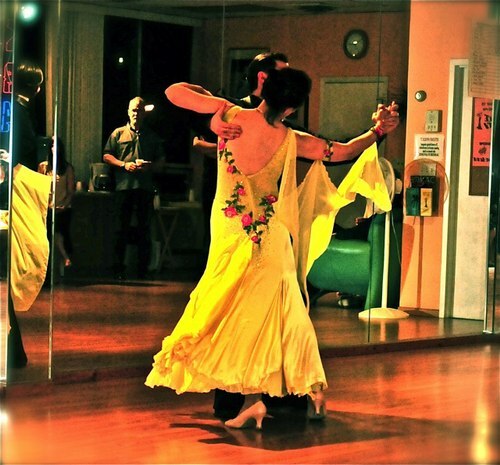 A sparkling gem, harbored near the Hudson, NY Dance Center, only 24 miles from Manharttan, heralds the burgeoning enthusiam for ballroom dance, in Westchester County. With the charm, discipline, and grace of two time Moscow Champions, Dmitri and Svetlana Ostashkin, have created NY Dance Center, a light, airy jewel of a studio in Ardsley, N.Y. 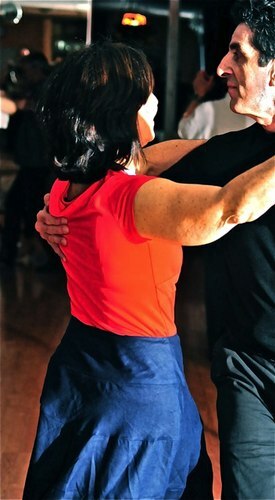 Since its inception, in 2003, Dmitri and Svetlana have striven to make this unique, boutique of ballroom dance a place where students get lots of personal attention. The students are encouraged to move at their own pace: from group to individual lessons, from showcase galas to fierce competitions. 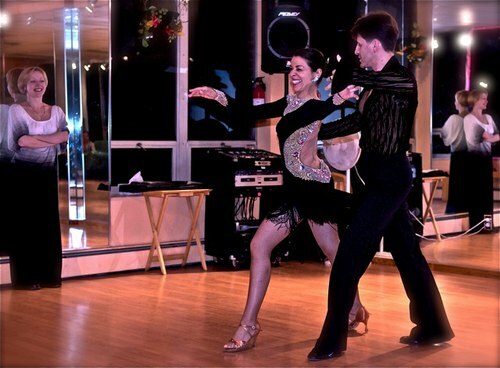 An emphasis on technique, style, and expression allows the dancers to grow and learn the full ballroom repertoire: from Rumba, Samba and Cha cha, to Waltz, Quick Step and Foxtrot….to name a few! 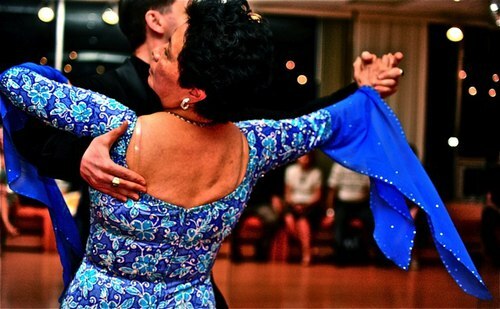 Their staff, personally trained by the Ostashkins, is skillful, and congenial, whether instructing 12 year olds for competition, newly weds (to be) for that defining dance, or couples celebrating their 50th anniversary. 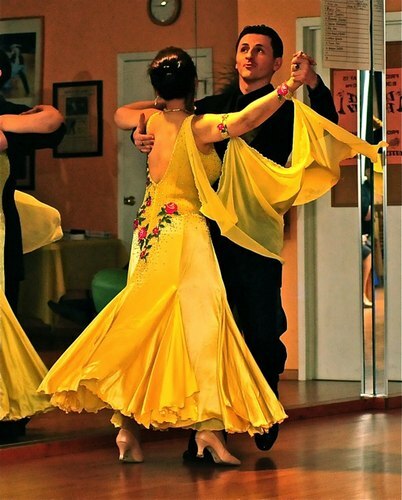 Learning the full ballroom repertoire enables students to hone in on precise footwork, long leg lines, and hip placement, gaining supple strength and flexibility, as they progress. Each dance has its own nature, and character, which is explored and expressed through the students' choice of music, and an understanding of the steps involved. 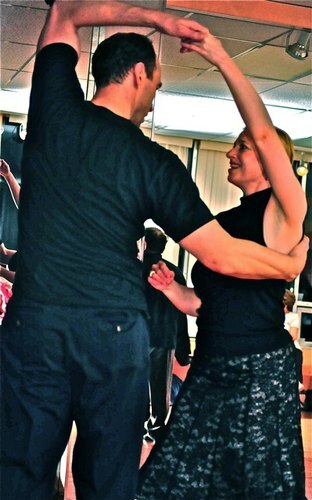 Parties allow the students to socialize, and practice their pleasing steps as they trip the light fantastik from flashy Swing, and spicy Salsa to a tantalizing Tango, and a venerable Viennese Waltz. As students progress, they perform at the parties, wearing gorgeous, glittering costumes that gleam and shimmer in turquoise, silver and red and flow like a satin river in saffron, royal blue, and indigo. Many of the brilliant costumes are hand made by Svetlana for the individual dancers. Spectacular Galas occur twice yearly; a Winter Ball, and Summer Show. Students get to regale their family and friends, in their finest raiments. Each dancer chooses his/her own music within an overarching theme, and razzle dazzle the crowd in a whirlwind, palace like setting. In August, look forward to a Broadway theme and a resplendent night to remember. 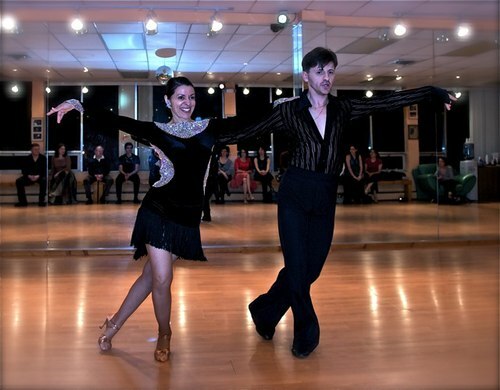 Dmitri and Svetlana have successfully coached a myriad of dancers in compettions locally, and around the country. Many of their students have placed first in bronze, silver, and gold levels, in pro am compettions in Georgia, Virginia, NY, and CT, to Ohio and beyond. Whether you're preparing for a special occasion, or wish to dance with confidence and flair, or want to move to your highest level of acheivement, NY Dance Center will inspire your inner dancer to emerge and flourish. The fantastic teachers, friendly atmosphere, and fun group of people qualify NY Dance Center as a Westchester treasure.